Memoir – Surrey Libraries Book Blog – we love these books! Would you like to meet Nova Bannatyne, talk to her, and get an autograph? Surrey Libraries can help! On Wednesday, September 27th, 6:30pm-8:30pm, there will be an event happening at the Guildford Library called – Authors Among Us. Nova Bannatyne will be joining other local authors in our panel discussion. If you would like to attend this event, please, call 604-598-7360 to register. Event is free! Borrow H Is for Hawk ebook now! If you and your friends happen to run a book club – borrow a book club kit! Many of us in our `middle ages` are dealing with aging parents in various stages of decline. 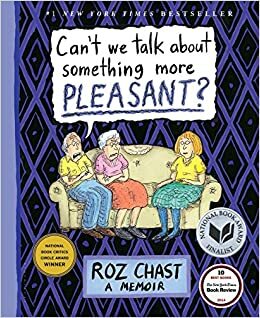 Roz Chast, the writer and New Yorker cartoonist, uses the graphic novel format to document her journey through this challenging time in her memoir, Can’t We Talk About Something More Pleasant? From first noticing that things seem to be `falling apart`, to realizing that she must take control of the uncontrollable, and then on through moving her parents into care, and experiencing their passing, Chast weaves her story with humour, grace, and brutal honesty. in the midst of complicated family relationships and challenging situations there is still, always, love. 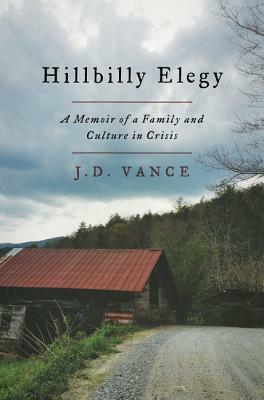 Hillbilly Elegy offers a fascinating look into the lives of white rural Americans. Author J.D. Vance uses his own personal experiences to describe and illuminate current social issues among working-class Americans. It is a quick, engrossing read, especially in light of the current political situation in the United States. I would recommend this book for anyone wanting to get an insight into the lives and hopes and dreams of those who feel so let down by their failure to achieve the “American Dream.” (Submitted by Claire). 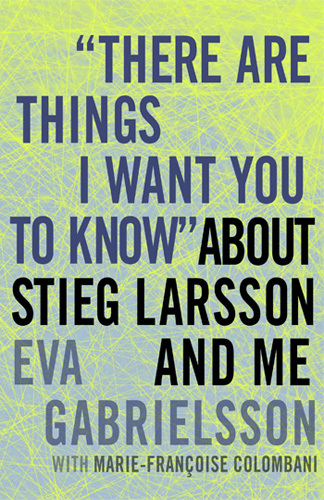 In this very personal account, Eva Gabrielsson tells us about her relationship with Stieg Larsson, the Swedish author who became an overnight sensation when his Millennium trilogy was published posthumously—The Girl With the Dragon Tattoo being the first in the series. He was only 50 years old when he died of a heart attack, and had spent 32 of his years with Eva Gabrielsson. Larsson devoted his life as a journalist to fight the abuse of women. With his fictional work he delivered his quest to the hands of millions of readers, and, later on, to moviegoers everywhere. There is a very sad irony to this real-life story: Since Gabrielsson and Larsson never married and he died intestate (without a will), under Swedish law she received nothing. Larsson’s estranged family (his father and brother) received not only his financial inheritance, but also the rights of the late author’s trilogy. A fourth book—one that Gabrielsson doesn’t consider faithful to the purpose and style of Larsson’s work—has already been published. In Gabrielsson’s book we get to know of the couple’s life together and of her struggle to gain control of Larsson’s legacy. (Submitted by Eva). 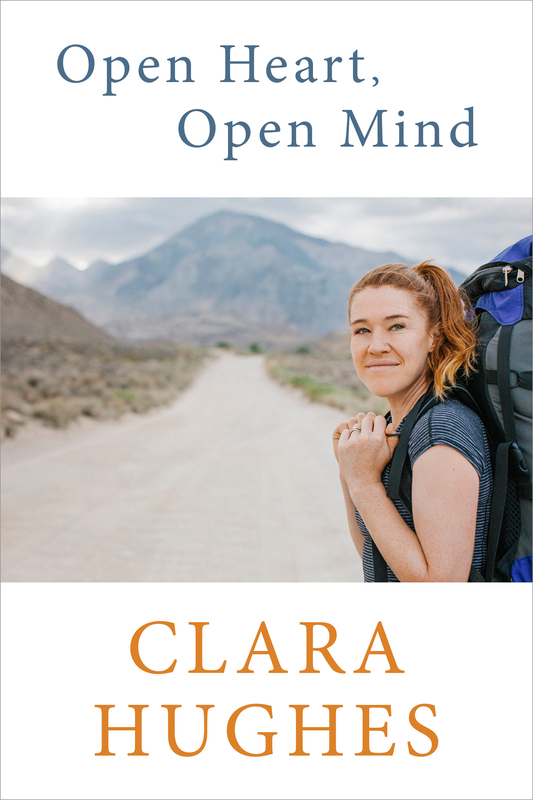 Open Heart, Open Mind by Clara Hughes is quite the eye opener. It reveals the unique lifestyle of a professional athlete and the challenges that it entails. Realizing that for a physical-based career, the greatest challenges could well be mental and emotional. Clara lays out her experiences of being an international athlete very truthfully and carefully. I would recommend this book to anyone thinking of a career in sports! (Submitted by Jamie).